Anand and Anand is a full-service IP law firm, providing end-to-end legal solutions covering all aspects of intellectual property and related areas. The firm is professionally managed by a partnership board comprising 23 partners and four directors and supported by a management team comprising a chief executive officer, chief financial officer and chief information officer. The firm currently employs more than 300 people, including over 100 qualified attorneys and engineers. 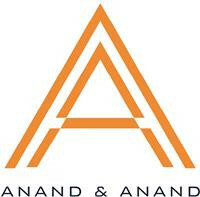 Anand and Anand is a leading firm in the IP field. Its expertise in addressing complex IP challenges of all types is widely acknowledged. It services a diverse portfolio of clients in conventional IP areas such as trademarks, patents, designs, trade secrets and confidential information, as well as in expanding areas such as domain names, media and entertainment law, information technology and e-commerce, technology transfer and internet and privacy laws. 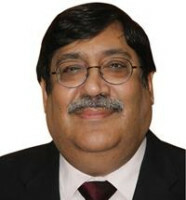 Anand and Anand specialises in copyright in media and entertainment law and represents authors, musicians, software programmers, artists, designers and many others from the fraternity of copyright owners, as well as collecting societies such as the Indian Performing Rights Society. The firm’s clients consist of several large multinational and Indian companies representing a broad spectrum of industries, including healthcare, electronics, consumer goods, industrial goods, automobiles, wind energy, technology, financial institutions, hospitality and entertainment. The firm has an extensive IP infrastructure in all aspects relating to trademark registrations, copyright registrations and IP monetisation, as well as in-licensing and franchising. The firm also has an in-house anti-counterfeiting and anti-piracy team dedicated to providing clients with proactive and robust legal protection for safeguarding their brand identities in the commercial space. 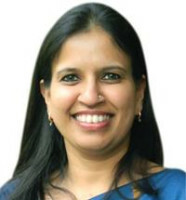 The firm regularly deals with IP protection and contentious matters in different forums, including the courts at all levels, the patent offices, the trademark offices, the Copyright Office, the Design Office, the Intellectual Property Appellate Board, the World Intellectual Property Organisation and the National Internet Exchange of India. The firm has a multidisciplinary practice and provides competent, personalised advice on all aspects of core conventional IP laws, as well as non-conventional IP mandates. The firm balances commercial realities with legal pragmatism and draws on its well-honed expertise and instinct in the field, coupled with a profound understanding of IP management in India. The firm has a keen interest in innovation and offers creative solutions that tackle the root – not merely the symptoms – of a problem. The firm thrives on challenges, creative thinking and constant improvement of its legal knowledge and skills. The spirited character of the firm is the keystone of its growth and expansion into new areas of intellectual property, which have been embraced with ease and zest.